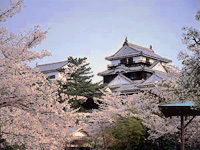 Matsuyama (pop. 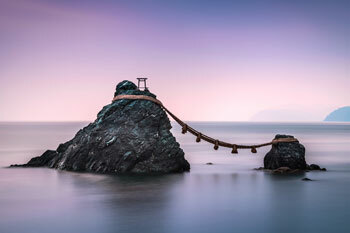 473,000) has been the capital of Ehime prefecture since 1889 and is the largest city in Shikoku. It is a major hub for ferries across the Inland Sea to the Chūgoku region of Honshu island. 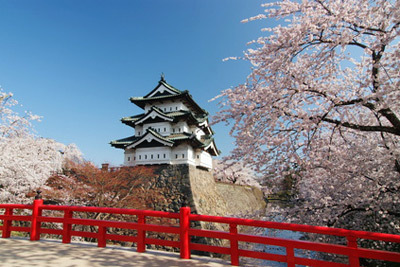 It is also acclaimed as the capital of haiku poetry. Matsuyama castle (￥350, open 9am-5pm) is considered as one of the most beautiful of the dozens authentic medieval castles remaining in Japan. 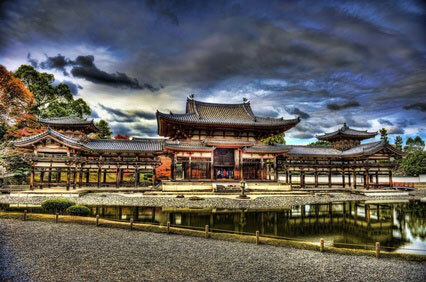 It was first constructed over five-storeys from 1602 to 1627 by lord Yoshiaki Katoh. 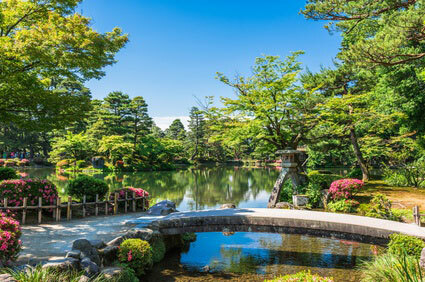 In 1635, the Matsudaira clan took over the city and ruled until the Meiji restoration. In 1642, the castle burned down and it was rebuilt with only three storeys. In 1784, the castle succumed to a fire caused by a lightning and it was not rebuilt until 1854. 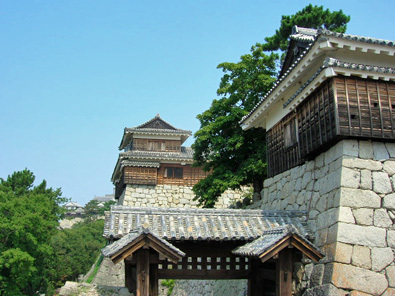 You can hike up the castle hill, or choose between the ropeway or chair lifts (￥260 one-way). 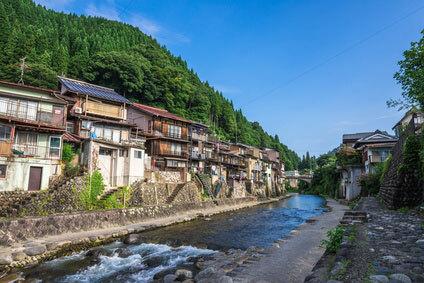 The town prides itself on having one of the oldest spa resort in Japan, the Dogo Onsen (道後温泉). 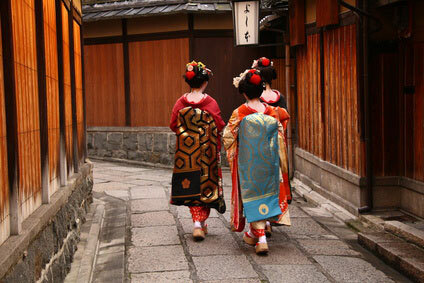 The onsen is even mentioned in the 1300-year-old Nihon-shoki. 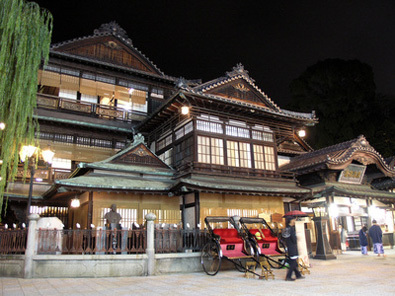 The public bathhouse building known as Dogo Onsen Honkan dates from 1894 and is well-known for its mention in Natsume Soseki's novel Botchan. 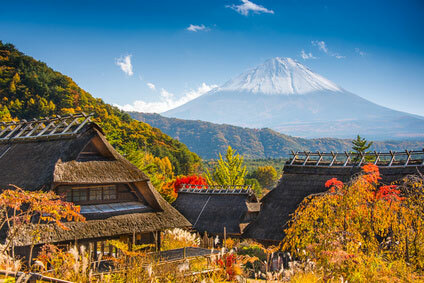 There are dozens of rather pricy hotels with their own thermal springs around Dogo Onsen. Alternatively, you can use the public baths of Dogo Onsen for ￥300, or ￥1,240 for a private room. 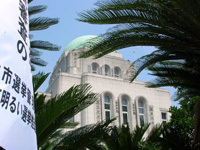 Other places of interests include the late Kamakura era Ishite-ji Temple (石手寺), and the Hachiman Isaniwa-jinja Shrine (八幡伊佐繭波神社), built in 1667, and the Shiki Memorial Museum is dedicated to haiku poet Shiki Masaoka (1867-1902). 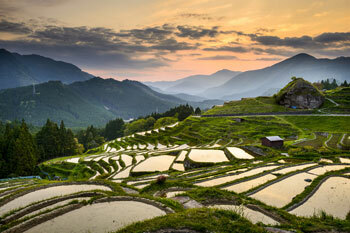 All of them are in the eastern part of the city, the two latter being next to Dogo Onsen. 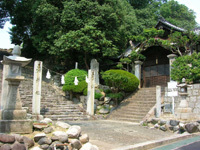 Behind Matsuyama city station, the Shoshu-ji temple or Shiki-dō (子規堂) is a replica of the house of Shiki Masaoka. Long-distance buses are the fastest and cheapest way to get to of away from Matsuyama. Iyotetsu has services to Takamatsu (2h15min, ￥3,900), Kochi (2h30min, ￥3,500), Tokushima (3h10min, ￥4,300), Onomichi (2h20min, ￥3,800), Okayama (3h45min, ￥4,300), Tokyo (12h, ￥12,000). JR Shikoku also has some buses to the same destinations. If you prefer the train or have the Japan Rail Pass, the JR Shiokaze Limited Express connects Matsuyama to Okayama in 2 hours 30 minutes (￥3,810). Okayama is on the main shinkasen line running through Hakata, Osaka, Tokyo and Sendai. Matsuyama airport is about 25 minutes by bus (￥300 from Matsuyama Station, or ￥450 from Mitsukoshi-mae) from Matsuyama, and has flights to Tokyo (Haneda), Nagoya, Osaka (Itami and Kansai), Fukuoka, Miyazaki, Kagoshima and Okinawa.